‘I’m Cameron and I would like to welcome you to our website. 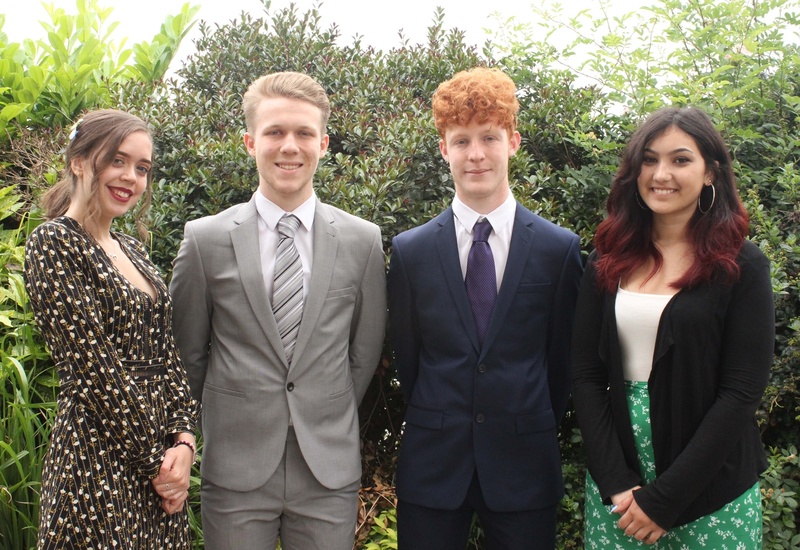 Along with the other Heads of School Yasmin, William and Leah we want to strive to make Marlborough the best version of itself that it can be. Marlborough is not only a place to develop academically but as a person as well, inside a friendly community. As Heads of School we will act as bridge between the students and the staff, allowing your child’s voice to be heard. I am a strong advocate of good mental health and I’d like to break down the stigma surrounding mental health and make sure our school continues stay a safe, inclusive community that all students feel comfortable in. ‘My name is Leah and I strongly believe in the power of volunteering. I help out weekly at the school’s morning reading sessions, listening to younger students read. I also volunteer at a local Care Home for the elderly. I have found is incredibly rewarding and it has helped me learn important life skills. ‘I’m Will and I am passionate about promoting strong bonds between students and staff, making sure that the students have their voices heard and understand the decision making process. One of our main priorities as Heads of School is to tackle the issues of poor mental health. We are looking to raise awareness of positive metal health by having speakers in school for assemblies and PSHCE lessons. We will also put extra effort into sign posting where students who need help can get it. ‘I’m Yasmin and this opportunity to serve and represent the school means so much to me as it allows me to be part of a team that speaks on behalf of the student body in a thriving school community.